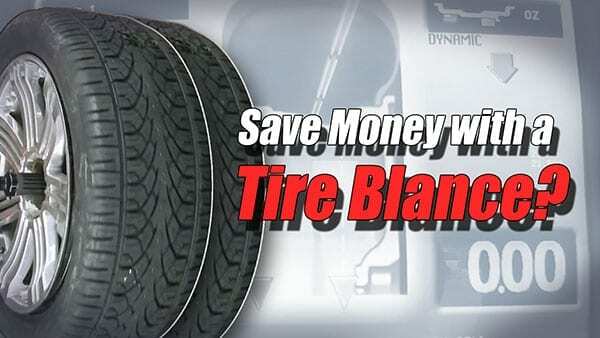 Can a Tire Balance in Cypress Actually Save You Money? Our automotive technicians attend to hundreds of vehicles with issues ranging from faulty batteries and oil leaks to dirty cylinders and worn tires. While all general maintenance that can be performed on a vehicle has a positive impact to one degree or another, a simple tire balancing can provide a huge return in terms of minimizing both fuel and repair costs. While the balancing is a standard service when purchasing a new set tires from many automotive service centers, it is also worth considering after flat tire repair and if excessive vibrations are experienced when driving. Why exactly should your consider balancing you tires? The quick answer is that it not only means a safe a comfortable ride for passengers, but you save time and money in the long run. When our mechanics perform a tire balancing, they ensure to correct any and all heavy spots on the tire. This means that when those tires are driven there will be consistent and even pressure throughout the tread pattern. The even pressure during highway driving can ensure that the tires do not heat up exclusively. As heat builds up beyond rated thresholds on a set of unbalanced tires, it could result in premature and uneven ware, which again means more frequent repair costs. Fuel economy of a vehicle is also positively impacted by the simple act of balancing tires. Due again to the even pressure gained from a proper balancing, the vehicle will have much better traction on the ground. This ensures that the engine is not working overtime due to the loss of contact with the ground. You not only save money on fuel costs, but to a certain extent conserve gas that would have unnecessarily been wasted. Besides balancing tires when installing a new set, after a flat repair, uneven tire ware or when vibrations are experienced during driving, it is recommended that tires be balanced every 5 to 6 months visit their website. This may be difficult to keep track of, but a simple self-reminder after a new tire install can help ensure the life of the tires is extended. And in the end, a proper balancing can provide improved ride performance that also contributes to safer and more comfortable travel in the city and highways. Here at Action Auto Cypress, we hope that this quick tip can positively contribute to your vehicles performance.